Sharmishtha Basu@ Indie Adda: Tell us something about yourself! Koel Sreejib: I have always found this to be a tricky question. Here, let me try. Sharmishtha Basu @ Indie Adda: Is it your first book? Koel Sreejib: Yes, it is. Sharmishtha Basu @ Indie Adda: Tell us something about your book (genre etc- just a brief idea for the readers- the more enticing the better.). 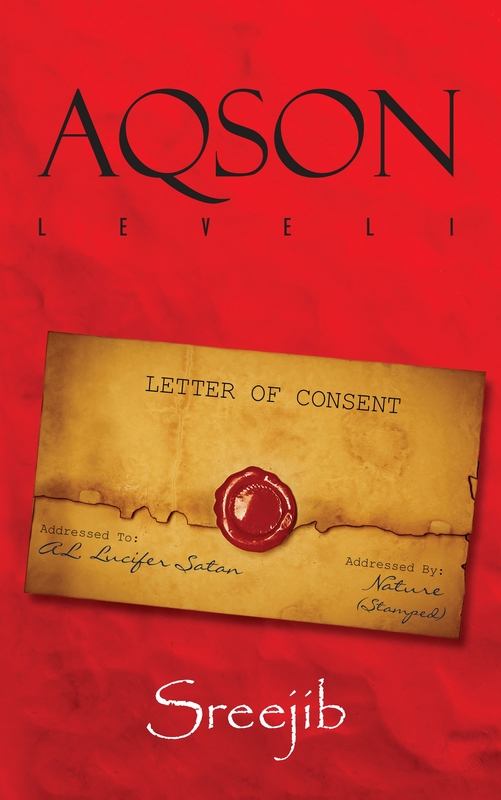 Koel Sreejib: Aqson Level 1 is a fantasy novel. This book is about a game played between angels. One team is led by God and the other is led by Satan. This particular game is set in India and the goal is the Prime Minister’s position. Among the various species that share this world, angles is one. They look exactly like humans but are far from them. As the two teams begin to play, different angels join each team for specific moves. All these angels are my favourite characters from Greek mythology, Indian mythology and folklores. The book also has characters that are personified mythical objects, like Pandora’s Box, and other inanimate things. I tried to maintain a balance between reality and fantasy because the game is as real as Indian politics but the players are fantastical creatures. Sharmishtha Basu@ Indie Adda: How does it feel to become a published writer? Koel Sreejib: I can’t deny the sense of accomplishment that comes with one’s work being published. In fact, it is magical when you hold your published book for the first time. However Sharmishtha, for me it has been way more than a published book. It is something too personal. I am extremely happy that I could keep a promise that I had made to someone. Koel Sreejib: Don’t be wannabes. Be what you want to be. If I can get a book published when I got it published, then everyone can achieve their goals. If you want to be a writer then my only suggestion is to read. I have met a lot of writers in the recent past who haven’t read much and ‘am sorry to say that it reflects in their work. You don’t have to read classics if you do not like them. I strongly suggest Noddy and Dr. Seuss (personal favourites). Reading develops your imagination, glossary and confidence. And trust you me, you will need those three. Good luck! I am sure I will see you around. Sharmishtha Basu@ Indie Adda: Where can we find you if we want to read more of your works? Sharmishtha Basu @ Indie Adda: Where can we buy your book? Give me the direct link- single link using which we can buy it. Koel, it’s a very nice feeling to read the interview. Interview and review upon u are both inspiring..